The Samsung Galaxy S7 Active is true to its name. It is a waterproof and dust-resistant smartphone with the IP68 certification. It comes with a 5.1-inch Super AMOLED display panel with a resolution of 1440x2560 and 575ppi density. Powering the device from within is an Octa-Core 2.1GHz Qualcomm Snapdragon 820 processor with 4GB of RAM and the Adreno 530 GPU. The phone comes in two memory configurations-- a 32GB and a 64GB internal storage plus a microSD card slot for up to 256GB memory expansion. Camera-wise, the phone is equipped with a 12MP rear-facing camera with 4K video recording and a 5MP front-facing camera. 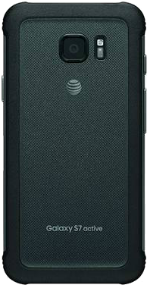 The Samsung Galaxy S7 Active packs in a non-removable Li-Ion 4,000 mAh battery. Upon release, the phone runs on the latest Android 6.0 Marshmallow OS. 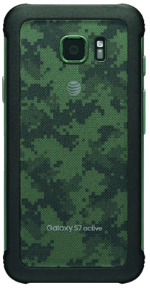 Color options include Camo Green, Titanium Gray and Sandy Gold. All the things you love about the Samsung Galaxy S7, but in a rugged — and a bit ugly — plastic and rubber shell. 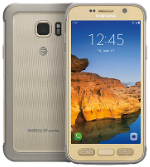 The Samsung Galaxy S7 active features all of the main components of the Galaxy S7, and more.